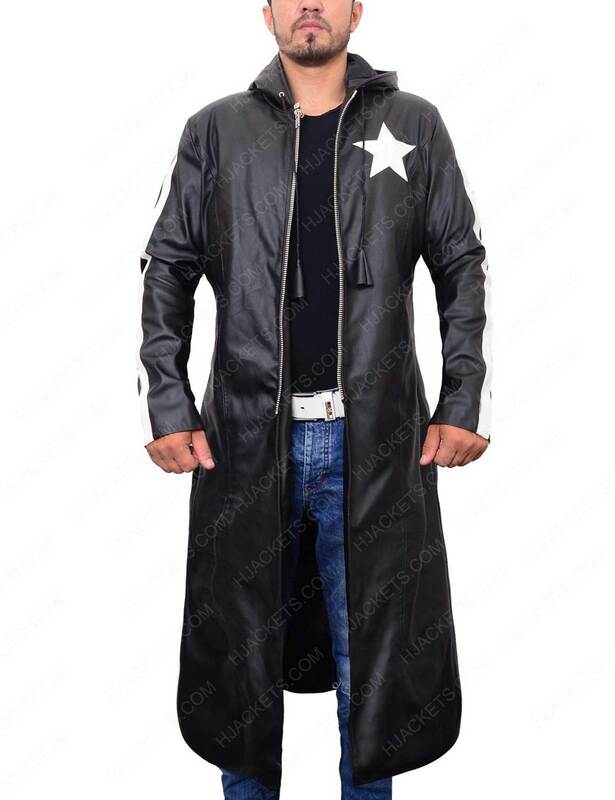 If you are interested in wearing a long coat for a pleasing appearance, then you can have this long coat that is inspired by one of the most popular TV series. 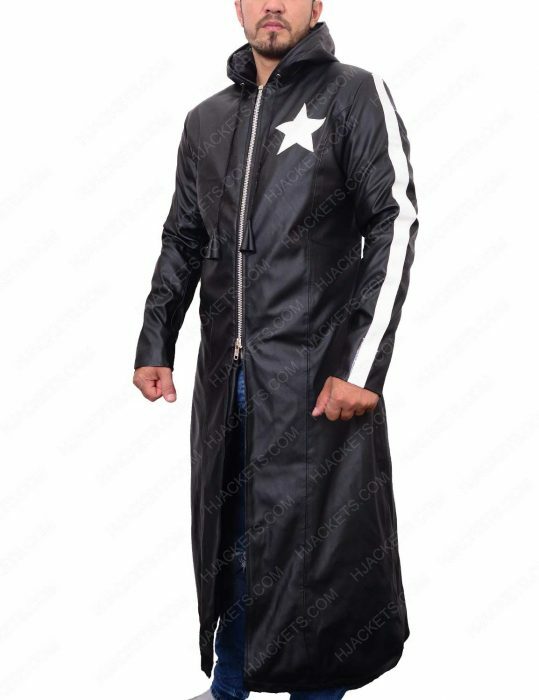 Black Rock Shooter Trench Coat is available in the black color that will definitely give you an eye-grabbing look. The attire is made up of genuine/faux leather that will allow you to wear for a long time period. 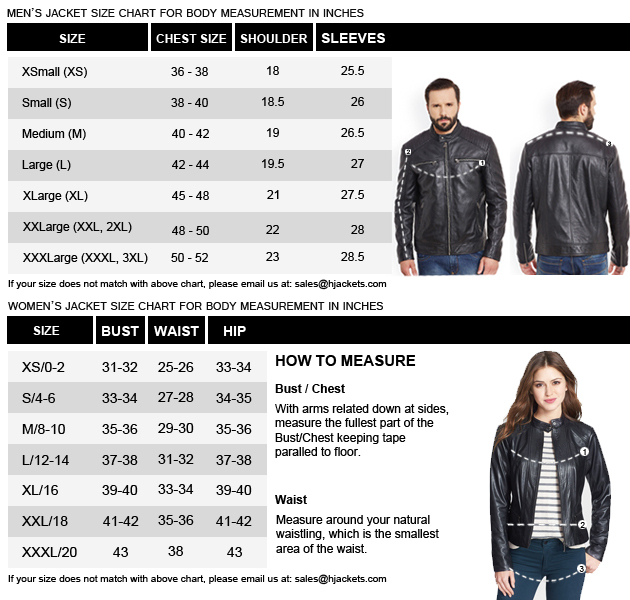 Inner viscose lining is mentioned inside that will give you comfortable feeling all the day. 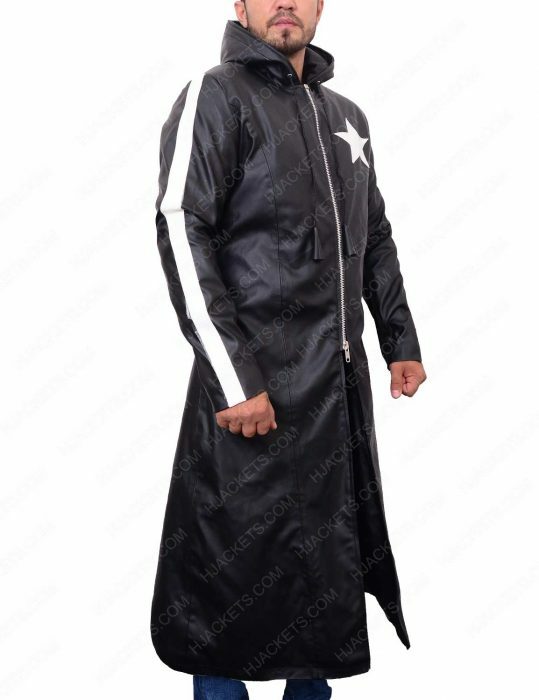 Get inspired by the features that include attached hood with drawstring for a classy fit and front zipper closure will give you slim fit look. 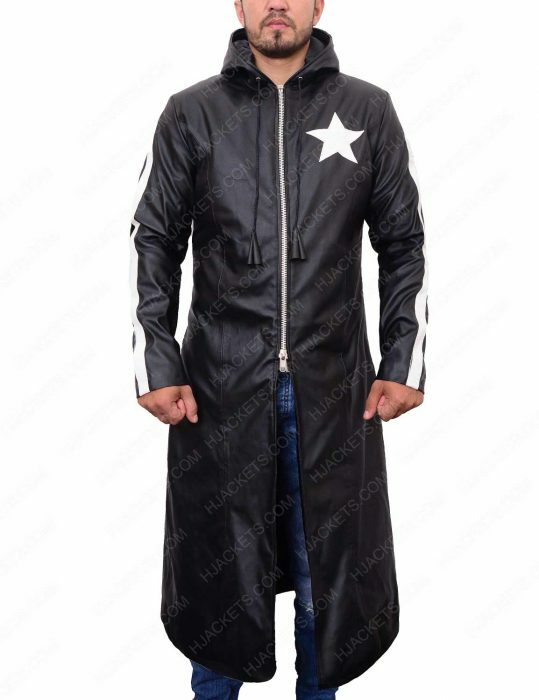 Rock Shooter Coat has full sleeves with white stripes on it. 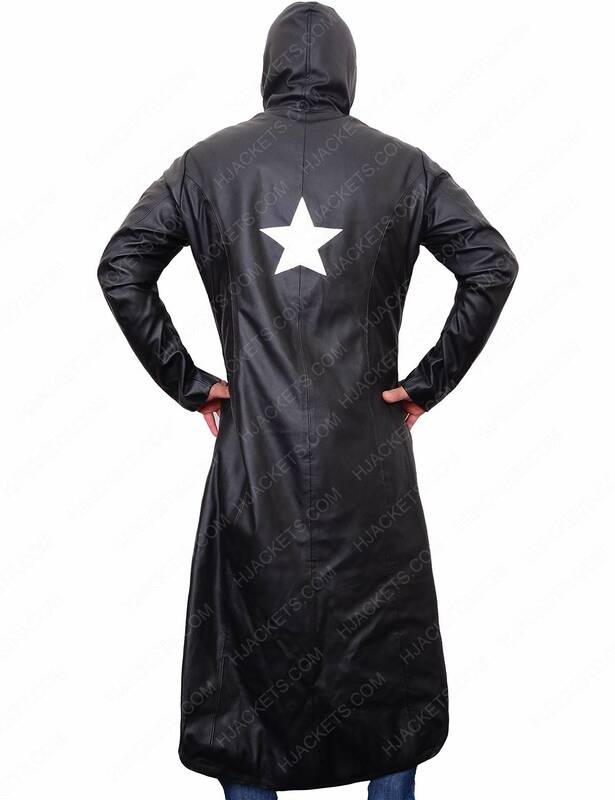 Star logo on front and back will increase the charm of your apparel and you will become an inspiration to the audience.